Presidency reaffirms commitment to increasing minimum wage – Royal Times of Nigeria. The Presidency has reassured workers of the commitment of President Muhammadu Buhari’s administration to increase the minimum wage. The Senior Special Assistant to the President on National Assembly Matters, Senator Ita Enang, gave the assurance in an interview with newsmen in Abuja. Enang spoke in response to alleged lack of commitment by the Federal Government to an upward review of the minimum wage, which has been eighteen thousand naira for over eight years. 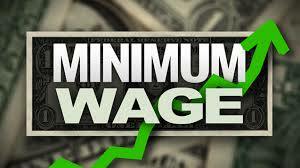 The senator said the decision of the Presidency to set up a committee on minimum wage is a sign of commitment. The Nigeria Labour Congress through its President, Mr Ayuba Wabba, had on Monday accused the Federal Government of frustrating the implementation of the new minimum wage. Wabba stated that the Congress had summoned a meeting of its organs next week to decide on the next line of action. Enang, however said aside fighting for wage increment, the NLC should also think about creating employment for the unemployed. Please let us know where the problem is coming from it is the federal govt or the state govt? concern with what governor’s where saying , “they are elected not only to pay salary”.they had collected bell out and Paris club. what do they use that money for? which road they use that money to construct or which health sector they equip strongly with medicine and other equipment. yet some state are holding salary. Despite the huge amount of found they collect from federal govt.